What methodology would social scientists adopt if we could start over? Abstract: We are living through several simultaneous revolutions in the social sciences: big data, human subjects experiments, network science, and exponentially-growing computer hardware and software. Each of these has the potential to alter the methodologies employed by social scientists, and taken together they have the potential to revolutionize what we do. But we still teach students about rational actors, econometrics based on aggregate data (instead of micro-data), equilibrium, well-mixed interactions (no networks), and how to do analytical, pen-and-paper calculations. In this talk I ask, were we able to start over, would we even bother with Nash equilibria, perfect information, common knowledge, frictionless markets, and so on? If an alternative grounding for social theory exists, what are the barriers to its adoption today? Specifically, could relatively simple, heterogeneous agents who interact directly with one another via networks or space, away from equilibrium, serve as an alternative foundation for a modern, computationally-enabled social science? Prospects for such alternative foundations will be assessed. 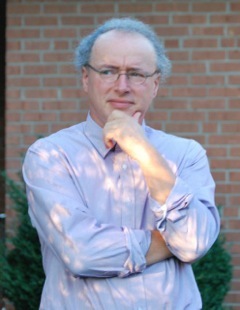 Rob Axtell is Professor and Chair of the Department of Computational Social Science at George Mason University, the first degree-granting department of its kind in the world and part of the Krasnow Institute for Advanced Study. Previously he was a Senior Fellow in the Economic Studies and Governance Studies programs at the Brookings Institution. He has been Visiting Professor of Complexity Economics at Oxford University, Mellon Distinguished Visiting Professor at Middlebury College, and External Professor at the Santa Fe Institute. He holds an interdisciplinary Ph.D. from Carnegie Mellon University where he studied economics, computer science and public policy. His research involves agent-based computational models of social phenomena, in which autonomous software agents—each agent representing an individual person—interact according to simple rules of behavior, with patterns and structure emerging at the aggregate level. His book Growing Artificial Societies: Social Science from the Bottom Up, (MIT Press, 1996), co-authored with J.M. Epstein, is widely cited as an early statement of the potential of multi-agent systems to more fully represent social processes. His research has appeared in leading scientific journals (e.g., Science, Proceedings of the National Academy of Sciences USA), academic journals (e.g., American Economic Review, Economic Journal, Computational and Mathematical Organization Theory), and has been reprised in the popular science press (e.g., Scientific American, Science News, New Scientist, Discover, Technology Review), in newspapers and magazines (e.g., Wall Street Journal, Los Angeles Times, Washington Post, Atlantic Monthly, even the New Yorker) and in a museum installation. His current research involves the creation of entire artificial economies consisting of 100s of millions of agents.